Dear Francis, thank you very much for visiting Hotel Devín and your positive review. We are very happy that you have enjoyed staying with us and we appreciate to read such a nice comment towards our establishment. We are very pleased that you were satisfied with the location, river view, WiFi and room. We are equally happy that you appreciated our cuisine. I hope you have enjoyed our special Czechoslovak menu with traditional dishes which is on offer due to the anniversary of the birth of Czechoslovakia. We are trying to do our best to make our clients happy and satisfied and your nice words are a great motivation to our future work. We will be delighted to welcome you again! Best regards, Anna Noskova, Assistant of GM Should you wish to stay again - please feel free to book directly with us for the best rates. Dear guest, thank you for visiting our hotel and your positive feedback. It gives us satisfaction and motivation to the future efforts. We would be very pleased if you recommend our hotel to your friends and other future guests. 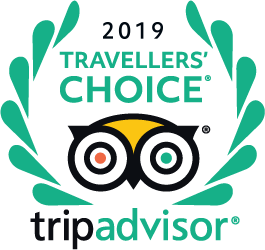 Best regards Zuzana Oberucova Should you wish to stay again- please feel free to book with us direct for the best rates. Dear Julienm, thank you for your review. Our hotel is located directly next to the reconstructions so our views and the other attractions around the hotel are very limited. We are looking forward to your next visit. best regards Eva Michalcikova Signing off with “Should you wish to stay again- please feel free to book with us direct for the best rates”. This is an extra opportunity to leverage on the attention not only of the person that has left the review- but all the people that have taken the time to read the reviews- and turn that focus into more direct bookings. Dear Mathence, thank you very much for your positive feedback. It is really motivating us to keep the standards and service on the TOP level. We are looking forward to your next visit. Best regards Eva Michalcikova Signing off with “Should you wish to stay again- please feel free to book with us direct for the best rates”. This is an extra opportunity to leverage on the attention not only of the person that has left the review- but all the people that have taken the time to read the reviews- and turn that focus into more direct bookings. "Chambre très bien ,selement petit déjeuner 12€ donc 3m à pied tres bon place pour petit déjeuner 10€ pour deux personne ."